Himachal Pradesh Cricket Association’s (HPCA) cricket stadium Dharamshala was inspected by a representative of the International Cricket Council (ICC) to check its suitability for hosting international matches. David Boon, former Australian cricket player and member of International Cricket Council (ICC) inspected the pitch. 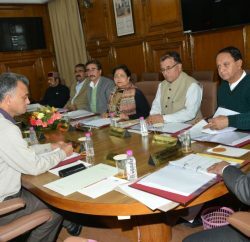 Officials inspected the stadium whole day and later they returned to Delhi. Boon was here to check the feasibility of hosting international matches at the stadium on behalf of the ICC. HPCA secretary Vishal Marwaha said that Boon didn’t say anything while inspecting the stadium. 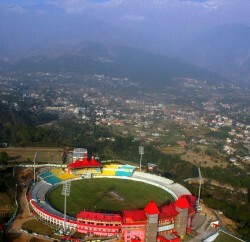 Dharamshala can hold international matches if the ICC finds it suitable and makes a recommendation. The first inspection was done by the ICC in 2008 and authorities were told that it is mandatory to have world class facilities for holding of international matches. Following that a five star hotel and a pavilion was constructed by the association. The hotel has 72 rooms and floodlights were installed on the ground for the day-night matches. The stadium has already hosted IPL matches.